Are you feeling buried under months of winter junk? Getting ahead of spring cleaning sounds great, but sometimes it’s hard to plan a home clean out with kids underfoot. Get the kids involved in your next home organization with these tips from Mr. Junk. 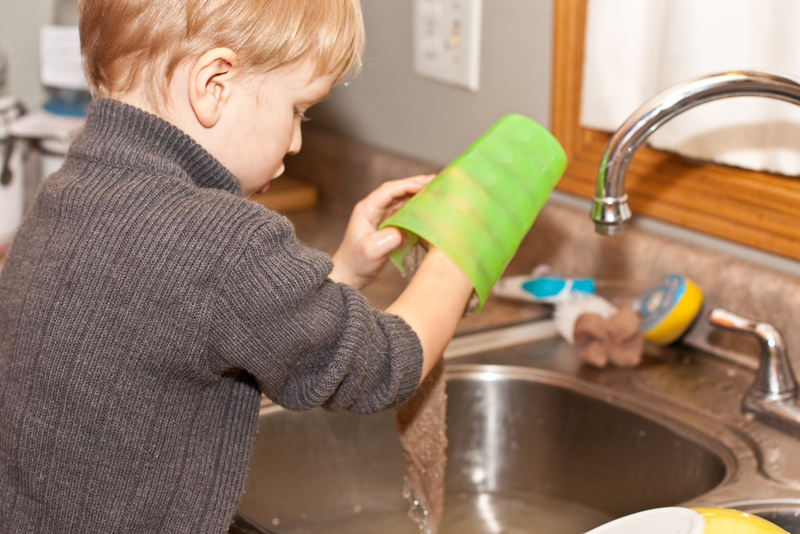 Do your kids tune out the second you mention “chores?” You’re not alone. Getting kids to help with the housework is one of the eternal struggles of parenthood. Luckily we’ve scrounged up a few tricks to get kids involved in spring cleaning. Blast the music. For some kids, all it takes to put down the video game controller and dive into organization is the right song. Turn spring cleaning into a dance party with a soundtrack made just for the occasion. See how many toys each kid can pick up before each song ends, then tally their scores at the end of the playlist. Sort it. Label boxes to keep, store, donate, and throw away. Sit across the room with your kids and have them play hoops to “net” each item in the appropriate box. Get moving. Have a lot of junk strewn around the house? Dub one family member “it” and explain the rules of the game: each child must collect items that belong in another room without getting tagged. Use the honor system for keeping track or have a helper in the other room to put items away after they’re retrieved. Use the rewards method. Have surly teens who refuse to help out? Offer them one item off their wish list — but only if they complete their entire spring cleaning checklist. Little hands make good helpers. Get your kids involved in your spring cleaning projects this year. After you’re done call Mr Junk to haul away old junk, broken toys, unused electronics, and bigger items like furniture.